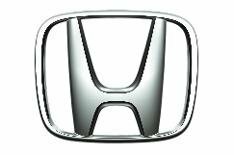 Honda extends airbag recall | What Car? Honda is recalling a further 437,700 cars around the world to tackle an airbag problem. The faulty airbag problem mainly affects cars in North America, but also some Asian countries and Australia. European models are not fitted with this type of airbag, so no UK models are affected. The recall was initially announced in 2008, but then extended in 2009 to cover around 515,000 vehicles in total. Honda has said that faulty driver's side airbags have been linked to one fatality and 11 injuries in the US, but not elsewhere.